KU athletic director Lew Perkins presents KU's new head football coach Turner Gill a Jayhawk hat and jersey during a press conference. That was certainly the case at Buffalo, where he led the Bulls to a Mid-American Conference championship and their first bowl game in 50 years. Same with Nebraska, where as an assistant he helped quarterback Eric Crouch win a Heisman Trophy and was part of three national championship teams. So while Gill’s laundry list of duties heading into his first job as a BCS-caliber football coach is considerable — implementing a new staff, familiarizing himself with the town, hitting the recruiting trail running — his priority, he said, is to get to know his existing players as soon as possible. And the quicker Gill is able to build that trust, meanwhile, the better things figure to be for a program that has endured a rough go lately. 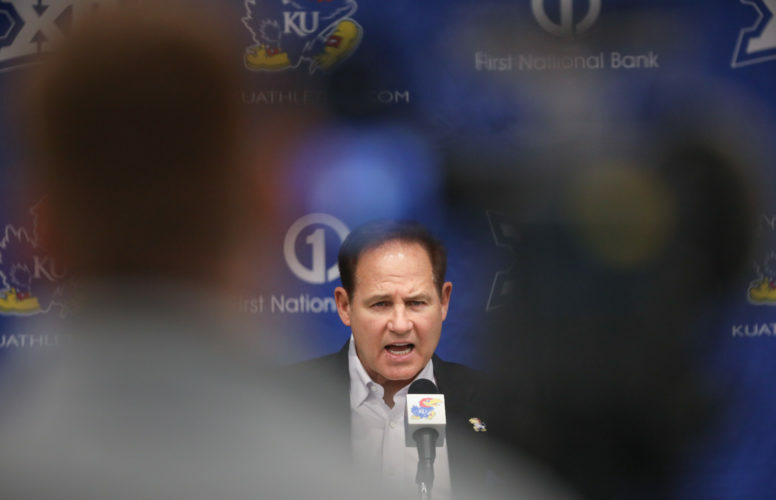 Since KU athletic director Lew Perkins announced last month that he had launched an internal investigation into Mark Mangino’s treatment of players, the perception — accurate or not — has been that the player-head coach relationship at Kansas has been less than stellar. 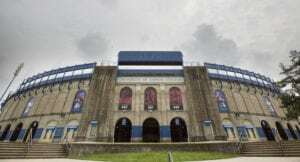 Multiple former players, for instance, insisted they had no real relationship with the 2007 national coach of the year, and while no one mentioned Mangino by name Monday — not Perkins or Gill, anyway — the former coach’s reign as head coach of the Jayhawks, as well as his recent departure from the university under not-so-pleasant circumstances, was still fresh in the minds of those in attendance. 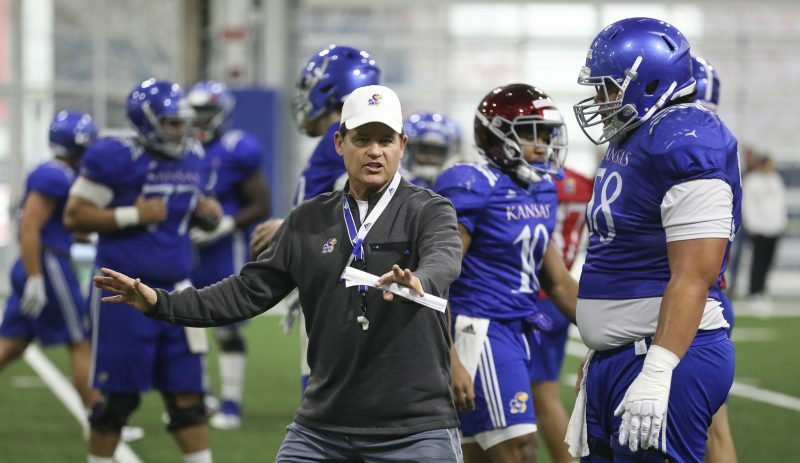 Already in Gill’s short time at the program’s helm, however, he has made clear that things will be different at Kansas — “I want to create an environment that’s productive, where people enjoy coming to work every day,” he said. “That’s just how I’m wired” –and the general consensus among players is that a more personable touch will act as a welcome development. What also will help is that Gill arrives in Lawrence with a vaunted pedigree. A former Heisman Trophy finalist at Nebraska who has twice been named one of the nation’s top-10 recruiters, Gill’s resume, both as a player and coach, is enough to impress even the staunchest skeptic. As a quarterback at Nebraska, he led the Huskers to three Orange Bowls, had a three-season minor-league baseball career with the Detroit Tigers and Cleveland Indians, coached a Heisman-winning quarterback (Crouch) and was named a finalist for the Frank Broyles Award, annually given to the nation’s top assistant coach. Oh, and for good measure, he led a laughingstock Buffalo program to a conference title in just his third season at the school. News this week that Perkins had tapped Gill for his first BCS coaching job, meanwhile, came as welcome news to members of the Gill family, including daughter Jordan, a sophomore at KU who decided to attend the school only after Gill called Perkins — a longtime friend — to discuss the university. Although details of the contract were not available Monday, Gill is set to make $2 million annually through 2014, up from his $401,300 salary at Buffalo. On Monday, Gill announced three members of his staff — offensive coordinator Chuck Long, defensive coordinator Carl Torbush and tight ends/special-teams coach Aaron Stamn — and has plans to interview at least some of the assistants that remain from the Mangino regime, though he didn’t indicate whether any would return to Lawrence next season. Perkins said the terms of the new coordinators’ contracts had yet to be finalized. 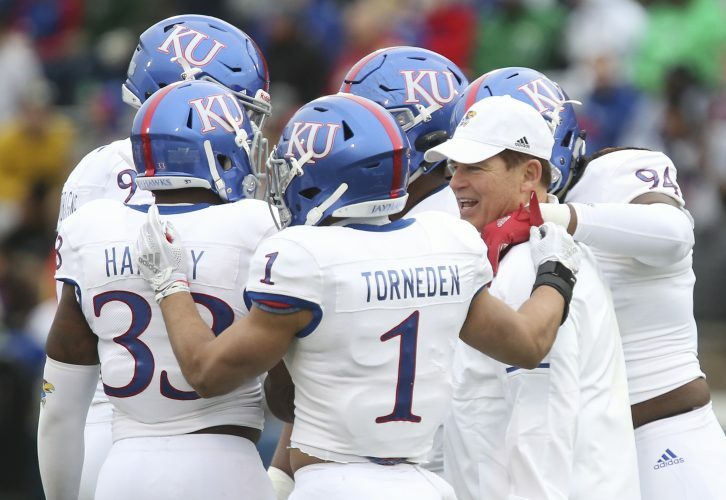 Gill indicated, meanwhile, that Kansas’ offense will maintain its spread attack, though fans shouldn’t be surprised to see the occasional two-back set, either. 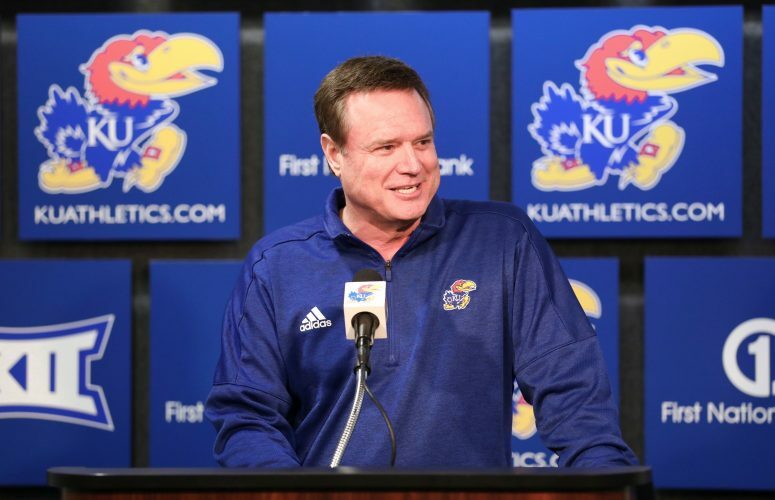 Defensively, he said, the Jayhawks will work out of a 4-3 formation with a focus on aggressive play and forcing turnovers. He talked about other things, too. He talked about his injury policy (more like NFL teams, less like the undisclosed policy carried by Mangino) and becoming a consistent power in the Big 12. He talked about his excitement and how his previous job prepared him for the struggles he’ll surely face in his first season transitioning to the BCS ranks. He talked about Big 12 titles, but he didn’t talk about rebuilding. In the end, however, everything circled back to relationships: the need to build them, the need to maintain them.